If you are going to ask what karat is dental gold, you may be surprised that they come in different ones. There is no fixed or set karat of gold which can be said to be the standard of measure when it comes to the use of gold for dental purposes. But one thing is certain though, pure gold is never used in it. As luxurious as you may want to go in your dental treatment, 24 karat gold cannot be used in dental gold. It will be too soft to use which is not a good thing if you are thinking about chewing food with it. Dental gold can come in various forms and sizes. They can be used for dental crowns, bridges, and gold tooth or teeth. Gold is sometimes used in these dental fixtures due to the characteristics of this metal that is very desirable if you want something that will be able to stand wear and tear for a long period of time. 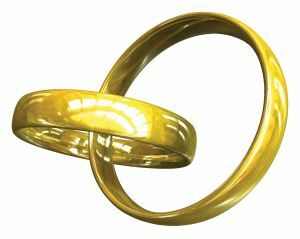 Gold has a natural ability to resist any pressure which is most like to damage it if you combine it with the proper types of other hard metals. If you have had dental restorations in the past, then you may want to check if you have any that contains gold. Dental gold does not come in pure gold form. It will be mixed together with other base and noble metals in order to give you the strength and durability that you need. Some of these metals are silver, tin, copper, or titanium. They are needed for their own metallic characteristics that provide the necessary toughness that will be very important when making dental fixtures. Without them, you will definitely chew your dental gold and deform it in the process making it utterly useless. So with that said, most dentists go for the lower karats of gold, which means that they have more additional metals blended into the gold to make it stronger. A lot of dental gold nowadays are composed of 10 to 16 karat gold. The highest that can be used though is up to 20 karats although this would need much more harder metals to create. This way, they will have the best characteristics, which will make it able to withstand all the pressure that will be needed during mastication. Do you have dental scrap gold fillings, bridges or crowns you’d like to sell? Gold is one of the most valuable commodities on the market. With a price of more than a thousand dollars per ounce, people will surely be interested in selling any item that has gold in it. Gold has seen almost more than a hundred percent increase on its worth for the past 5 years and it is still getting on a rise. So with all the value that it can command, even the smallest bit of gold that you may have on your old things can be worth selling. If you have ran out of things that you can find gold in, you may try looking for it on your own mouth. Yes, that’s right the dental fillings that you may have gotten from your dentists ten years back may be worth looking into. Dental fillings are those that you get when you have a rotten tooth and the dentist recommends that the tooth be drilled and the hole filled in with several types of materials such as ceramics, silver and gold. Yes, the precious metal is used also for dental purposes. The type and grade may vary on what you can afford so if you remember having any of them done on your teeth. Different types of fillings are done by dental clinics and one of the them are made from a combination of precious metals such as gold. A lot of patients prefer gold fillings due to their strength to withstand wear and tear, their capacity for usage can be up to fifteen years, and also due to the beauty of gold itself which is quite unmatched if compared with the ceramic and silver filling types. Although it may be pretty costly, they are still worth their price. A lot of people have literally pulled out their tooth with gold fillings in front of pawnbrokers in order to sell them. The current rising price of gold has definitely driven some people to do unexpected things to take advantage of the current gold trading prices. Although this may not be a recommended idea for you to take, but if you happen to need some money, this step cannot be ruled out. Who knows how much gold you may have sitting right there in your tooth? To find out the fillings dental gold value, you first need to know what is the current selling price for dental scrap gold and after that have your gold teeth extracted and sent to a gold refiner in order to remove the other components of the filling or to separate your tooth from it. They will send you an analysis of the total weight of the gold in your tooth and give you their price for it. If you think that it is fair enough then go ahead and sell it. There are now various companies who will buy your gold tooth from you through the internet. They will send you a free packaging material with which to send your gold teeth safely. Do you have scrap dental gold and are curious about its worth? You may not know it but you may have old dental stuff which may contain some precious metals that you can sell and profit from. Old gold teeth fillings, crowns, bridges and other dental accessories may actually be worth a good deal of money if you get the gold melted and extracted from these things. Some of the older ones which have a yellowish tint to it actually contain about 40% of gold which can be either 10 karats or 20 karats depending on how your dentist have made it. It might seem embarrassing to have your dental fillings sent to a jeweler to get the gold out of it but with the increasing demand for this metal, most institutions will likely be favorable about buying it. Dental gold fillings are usually made with 60% percent metals which have a very high value such as gold and platinum. These can be found particularly on metallic dental accessories but not on the white ceramic types of fillings. So if you are one of those who were lucky enough to get those metallic things in your teeth, you can actually sell them in order to gain money. What you need to do would be to send your dental fillings or crowns to a dealer which extracts gold from scraps. You can also send them to your dentist if he is interested in getting gold from his former clients. What is interesting is that this metal is now one of the most in-demand in the market which sent dealers to scramble for anything that can possibly contain gold one of which is your dental fixtures. The value of your gold teeth can be quite significant since the value of gold has recently increased in the market. 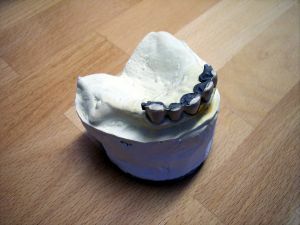 To get to it however, your dental fillings would need to be refined first in order to get to the pure metal. When you send your dental fillings to the refiner, a charge may be needed for the process which can be done by charging you with the fee or by cutting something out of the cost of your gold. If they perform an analysis of the full composition of your dental filling, that can be an additional charge also but you will get to know what comprises it. The findings will show what else is there in your filling which might be of value also. Some refiners may provide you with packaging materials for your stuff and be sure to keep a record of what you will send so that you will have proof if something bad happens after you have mailed it. Also, it will be a good proof that you have sent a personal property along. So, if you are thinking of how to get some money in case you ran short of it, you can go through your old stuff and check if you have any teeth fillings or crowns which have been left undisturbed for decades now. They can be a good source of money which you may just be leaving lying idle. Since gold prices have been skyrocketing the demand to sell dental scrap with gold content has been exploding in popularity. Gold has long been a valued as a precious metal for use in dentistry. It is a strong piece of metal, strong that even those used during ancient times have survived even today. It is strong yet it could easily be formed. Using gold teeth in dental work is a wise idea as this metal does not discolor, stain, rust nor corrode easily. This precious metal preserve its luster in due course, and have no need of specific maintenance for it to glisten and look great. What more, it does not cause any allergic reaction, making it a popular commodity for tooth replacement. Since the 1800’s gold tooth fittings have become widely popular. A tooth needs to be replaced or repaired as to look after the other parts of the teeth that have been exposed to injury and decay. One method to repair the teeth is through inlay fitting. This is a solid fitting that cements the tooth that has been specially prepared for it. Most inlay fittings are made of gold or tooth colored porcelain. 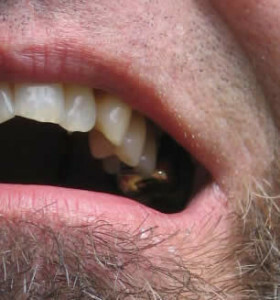 A gold tooth replaces a conked out crown, and the golden tooth becomes cemented over the old tooth. In some countries and cultures, however, a golden tooth represents wealth and not necessarily because one does not know how top take care of ones’ teeth. A golden tooth usually has sixteen karat worth of gold in it. Some dentists recommend replacing one’s tooth with gold as it is secure and comfortable. Moreover, gold endures. Surveys of those who have gold tooth persists for about 20 or more years, while some even lasts for about 40 and more years. For some, replacing one’s tooth with gold is a cost effective choice. 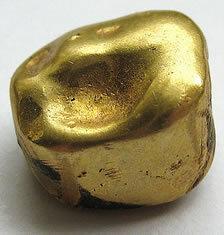 Today, dentists frequently use gold to fit in tooth. They now use other metals such as silver, zinc or copper. However for some it could not just be replacing your tooth but it may also be dental scrap gold investing. Some people who have made the choice to have their golden tooth replaced with a porcelain one are now looking and digging in to their drawers and other hiding places, as they plan to sell their old gold tooth. After all, gold investing is no laughing matter, the value of gold increases through time. Like all gold, the golden tooth has raised its selling price.